It’s Saturday afternoon in London and a shopping trip beckons. 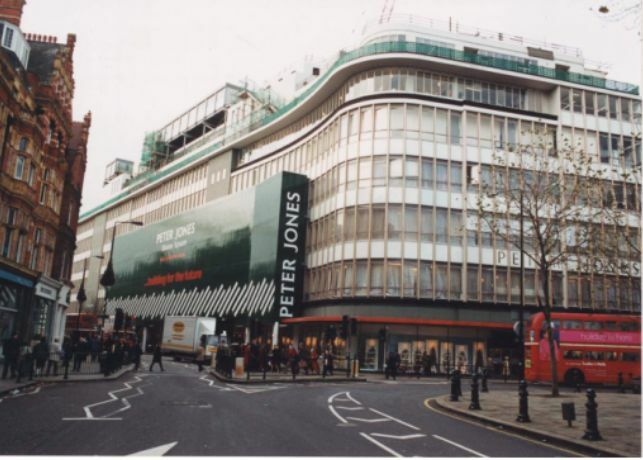 We headed to Peter Jones, an expansive store next to Sloane Square in fashionable Chelsea. Not only do they have more or less everything there, but it’s a handsome building, full of lines and curves. I’m glad I had my camera to hand. 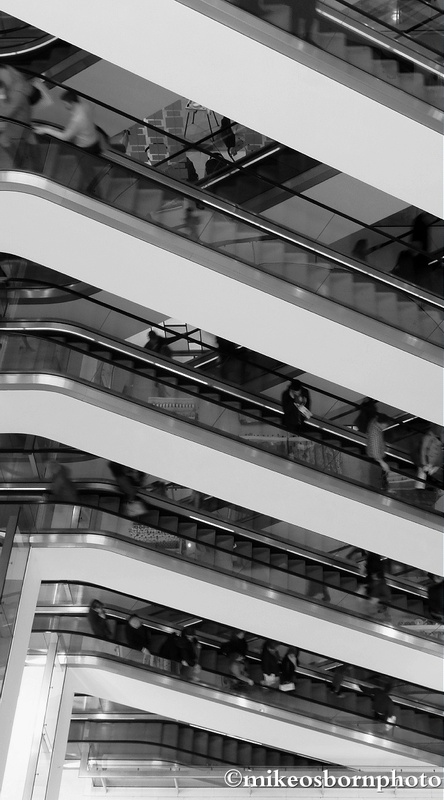 What better place to start than the central escalators, which take shoppers up, down and everywhere. I wanted a sweater shaver (basement, don’t ask) and Dermot wanted some new trousers (first floor). I like the lines and patterns in the escalators. Nice photos! Thank you very much! And thanks for following too. I’m liking your blog. I find that looking for interesting shots is the only way of coping with dull days out! Yes, and shopping has its less than compelling moments!